This Irish blessing plaque features a shamrock along with the desire of the people of earth. And those who wish they were. This Irish blessing plaque features a glazed bone ceramic design with shamrocks and it includes a green braided nylon cord for hanging on your wall. 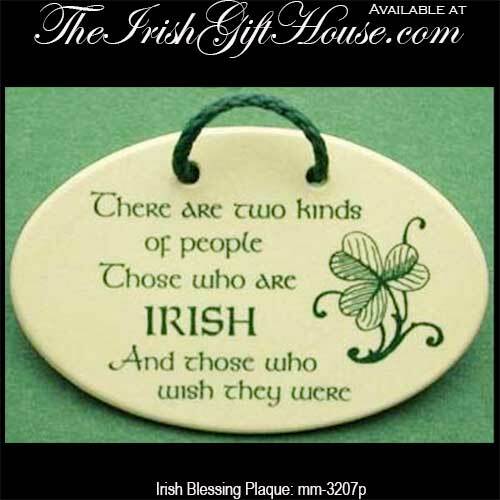 The 5 1/2" oval plaque is gift boxed with a shamrock history card that is complements of The Irish Gift House. The ceramic Irish toast plaque is made in the United States.